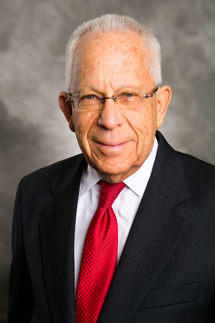 Mr. Fern founded the company in 1963 and is currently Chief Executive Officer and Chairman of the Board of Churchill Management Group and of Chartwell Properties, a licensed real estate corporation in the state of California. He chairs the Churchill Management Group Investment Team, which is responsible for managing all of our investment accounts. Mr. Fern has well over fifty years of experience in the management of securities investments, real estate investments, economic and political analysis, and in counseling corporations and large investors on a variety of business, economic and financial issues. Mr. Fern graduated from the University of California Los Angeles (UCLA) with a Bachelor of Science Degree in Business Administration. He has done post-graduate work at both UCLA and the University of Southern California (USC). He is recognized by the Investment Counsel Association of America as a Chartered Investment Counselor. Mr. Fern has served on the Boards and Investment Committees of many non-profit organizations, primarily in the area of education.